In documentary filmmaking, passion and conviction can go a long way to making up for a lack of technical ability or a clear vision. This is best illustrated by something like Dear Zachary: A Letter to a Son About His Father, a film which is haphazardly assembled but still manages to make its devastating point. 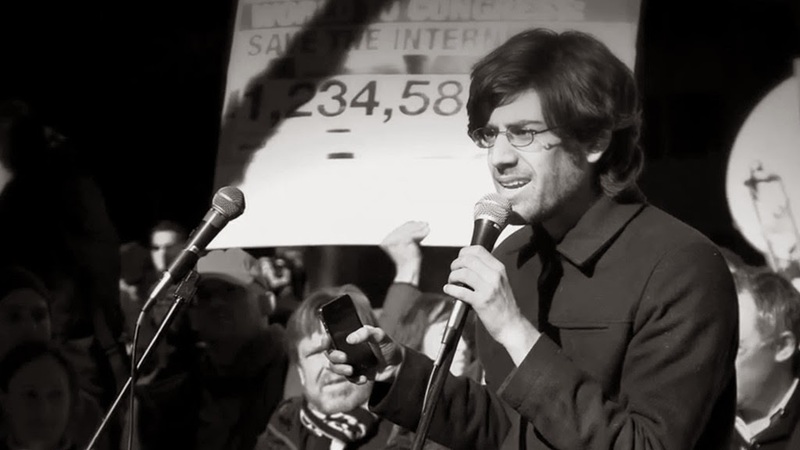 Brian Knappenberger's The Internet's Own Boy: The Story of Aaron Swartz also fits the bill. In covering the all too brief life of the eponymous writer, programmer and activist, from his childhood to his death in 2013, the film is impassioned and righteously angry about the events and institutions that led Swartz to take his own life, but it also lacks any focus as it pinballs from subject to subject. The film's lack of focus may be more feature than bug, because Swartz's life and work touched upon a wide and diverse range of subjects, while his death touched on many more. Though the early biographical segments in which Swartz's friends and family talk about his prodigious intelligence and preternatural affinity for computers, a skill set that allowed him to become a key part of the creation of RSS by the time he was 15 years old, are relatively straightforward, things get rapidly more complicated after it covers his crucial role in the creation of Reddit. It's at that point that Swartz's political activism, particularly his belief in open access, and the idea that information should be free and available to anyone, comes to the fore, and the film has to deliver a dizzying amount of information in short, concerted bursts. It helps that it can rely on interview subjects like Cory Doctorow and Peter Eckersley, people who have dedicated their lives to explaining the complexities of the Internet, but Swartz's wide-ranging interests and involvement in so many projects occasionally defeats Knappenberger's direction. The Internet's Own Boy has the unenviable task of trying to encompass subjects that are personal and political, social and philosophical. The need to shuffle those subjects lends the film a rapid, tumbling pace, giving it the quality of Swartz himself, who in the archive footage talks a mile a minute and leaps from subject to subject with ease. But it also spends a lot of its running time throwing out information that doesn't adhere to anything else. The times when it focuses on a particularly big event, such as Swartz's founding of the online activism group Demand Progress, and its involvement in the successful campaign to kill the Stop Online Piracy Amendment (SOPA), are the ones when it is most effective. In detailing why Swartz and others opposed SOPA (they felt it was so vaguely worded that it could be used to suppress free speech on the Internet), Knappenberger is able to make a lot of broader points. There's the obvious connection to Swartz's other work downloading legal and academic documents to protest the way that information is placed behind paywalls controlled by a handful of large organisations. Then there's the bigger criticism that SOPA was written without consulting actual experts on how the Internet works, and how that relates to the dissolution of the Office of Technology Assessment in 1995. And it ties into the broader philosophical argument that the key battle for the Internet Age is ultimately about information and who will control access to it. Having such a clear conflict allows the film to draw together all the disparate threads of Swartz's work, and to present a compelling narrative of what he believed and how it had an impact in the real world. By the nature of his story, there are few examples of those moments. Nowhere is that more apparent than in the film's handling of the criminal prosecution brought against Swartz for downloading millions of academic articles from the privately-owned database JSTOR. The charges brought against Swartz were so vague, and were predicated on violations of the Computer Fraud and Abuse Act, a piece of legislation that is so outdated that it was inspired by, of all things, the Matthew Broderick vehicle WarGames, that despite the film's best efforts it still comes across as baffling. Not only is it hard to say what crime Swartz committed, it becomes increasingly and disturbingly Kafkaesque as it becomes clear that MIT and JSTOR are not interested in pursuing a prosecution. The details of the case are laid out in clear, frustrating detail, making a very compelling argument that Swartz was pursued aggressively for a fairly minor infraction, and that he was threatened with 35 years in prison and a $1 million fine, amongst other punishments, because members of the Obama administration wanted to send a message to other hackers and activists. It's hard to watch the film and not come away incensed at the idea that a 26-year old would be driven to suicide because of a fundamentally broken system, staffed by people who put personal ambition above justice. Yet while The Internet's Own Boy sensitively and powerfully depicts the inherent tragedy of Swartz's story, it still feels like a distracted effort. It's the documentary equivalent of a series of hyperlinks. It touches on many ideas, each of which lead to new places, which then branch off into even more territory and further links. Eventually, the film has travelled so far that it's in danger of losing sight of its center. But the times when it does manage to hone in on the doomed young man at its heart, it's an impassioned tribute to Aaron Swartz, and a howl of anguish for what the world lost.